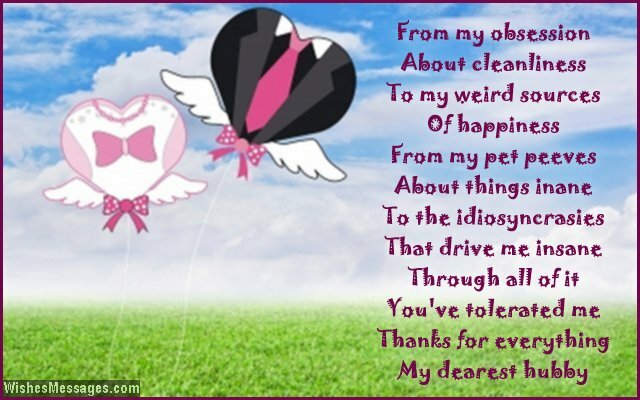 Thank you poems for husband: Happy in your marriage? 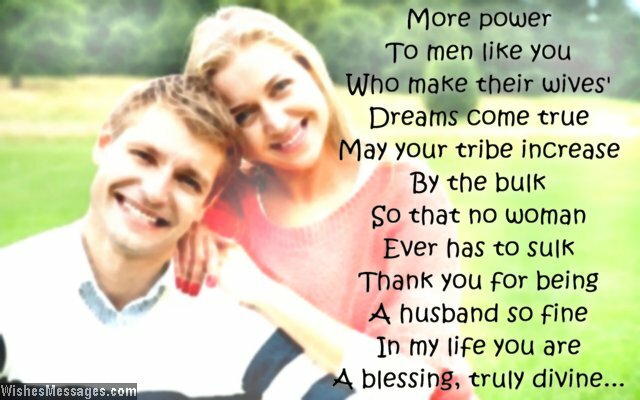 Feel blessed to have a husband as loving, caring, committed and faithful as yours? Show your gratitude by picking just another random day to write a sweet Thank You note for him. A card may be over the top but sending a cute text message or a romantic email while he is at work will definitely make him smile. Dig deep in your heart to pull out the most touching words as you express your feelings. As cheesy as all this sounds, little gestures like a short and impromptu Thank You can make a world of a difference in the chemistry you share as husband and wife.